Selling your home can be a long journey. Not only do you have to find a reputable lender to list your home, but you also have to make repairs and updates to boost your home’s value. 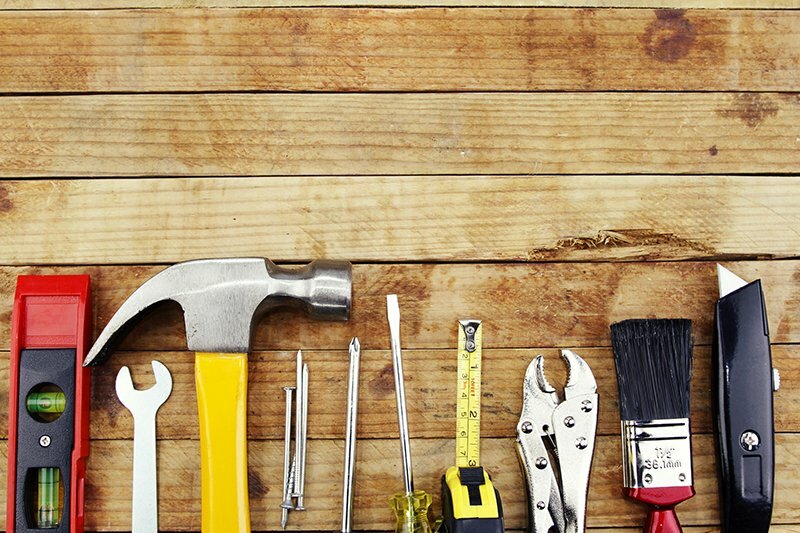 Chances are, your home could use some repairs, upgrades, and renovations. While this means money out of your pocket, it also increases the value of your home. Here are 6 ways to increase your home’s value before listing it on the market. Giving your home a new coat of paint is one of the cheapest and easiest home improvements to make. There’s nothing better than a freshly painted room. Since prospective homeowners likely have different interior design tastes than you, it’s best to paint your home in a neutral color. Creams, light beiges, and cool grays are all top options for a fresh neutral look. Neutral colors can also make small rooms look bigger. When repainting the walls, you’ll also want to give your crown molding, wainscoting, and window sills a look over. If they’re discolored or scuffed, a fresh coat of white paint can do wonders. A freshly painted home looks much more appealing in pictures and in person, so grab your roller and get started! Curbside appeal is crucial when your home is on the market. Not only does your home need to look good inside, the exterior also needs to impress potential buyers. Take a weekend to plan out a low-maintenance landscaping design. By planting colorful shrubs and flowers, you’re able to create a more inviting look outside of your home. This also gives off a very green and eco-friendly look to your home, which may attract younger buyers. To finish off the look, add a fresh layer of mulch or garden stones. You could even get fancy and add a stone walkway or outdoor lights that illuminate the garden at night. Your home’s floors take a beating, especially if you have children or pets. Like a fresh coat of paint, a newly floored home just looks, feels, and smells nice. Carpet is known to collect all sorts of dirt and dander. There may even be mold or mildew hiding underneath! Before listing your home, consider replacing your flooring. If your carpet is stained or if your hardwood floors are heavily scratched, replace or refinish them and watch your home’s value grow. It’s also important to replace outdated flooring. No one wants yellowed linoleum in the kitchen or shag carpet on the stairs. Take a look at inspiration sites such as HGTV or even Pinterest if you need some flooring ideas. Even though these changes aren’t as flashy as other upgrades, these small renovations all add up. In fact, something as small as adding more insulation to your home or replacing leaking windows can up your home’s value by thousands of dollars. If you’re willing to make a big change in your home, consider creating a more open floor plan. To do this, you may need to knock out a wall or rearrange your kitchen to better utilize the space. Since this home upgrade can be quite costly, consider using a home remodel cost calculator to determine your price point. While most prospective home buyers love open floor plans, be realistic when it comes to improving your home before listing it. You don’t want to spend thousands of dollars if the renovation won’t add that much value to your home. There’s nothing more open and airy than a well-lit home. Before listing your home, be sure that all of your lighting works properly. If you have simple on/off switches, consider installing dimmers. A dimmer allows you to set a certain mood in the home. If your home will be empty at the time of listing, be sure to embrace soft lighting as this creates warmth in the absence of home furnishings. Natural light should also be considered. Make sure that all of the windows close and open properly. You’ll also want to ensure that the windows are clean and that blinds are properly installed. For a quick upgrade, consider switching out your plastic blinds for faux wood blinds. If you’re planning to list your home in the near future, there are some upgrades that you’ll want to consider. By updating your home, you can increase its value. This allows you to get your asking price (or more!) once your home hits the market.